LIZ GRIFFITH (Instructor) has worked throughout the United States and Europe.. After spending ten years as a New York based professional actress, Liz moved back to her hometown of Madison so her partner could work at Wisconsin Public Radio. Liz's credits include: The pre-Broadway engagement, Carnegie Hall concert and West End run of Kristina (featuring Alice Ripley and musically directed by Paul Gemigniani), Fine and Dandy (directed by Book of Mormon director Casey Nicholaw), Showboat at Carnegie Hall, Pump Up The Volume, The Marvelous Wonderettes, Cats, It's A Wonderful Life, Shout!, Evita, Oklahoma!, Annie, Nevermore, A Grand Night For Singing, Nine, The Haunting of Hill House, The Scarlet Pimpernel, and Aida. She has worked with The Depot Theatre, Gateway Playhouse, Meadowbrook Theatre, The Arkansas Rep, The Encore Musical Theatre Company, The Airport Playhouse Four Seasons Theatre, Heartline Theatricals, and Music Theatre of Madison. She appears on the cast recordings of Kristina and Life Begins at 8:40 and earned a BFA in Musical Theatre from the University of Michigan. Liz's specialties as an instructor include musical theatre repertoire and audition preparation, musical theatre vocal coaching and professional consultation. CATIE O'DONNELL (Instructor) is currently the Artistic Associate for Music Theatre of Madison, for whom she has directed Panic, Elegies For Angels Punks and Raging Queens, Nevermore, You're The Flop, and 35MM. Catie received her BA in theater and music from the University of Miami, FL. She professionally freelances throughout the Midwest as theatre director, assistant director, educator and producer. Credits include directing for Forward Theater, Alley Stage, Quantum Productions, Sheboygan Theatre Company and Milwaukee Opera. She has also served as an associate director for productions at Forward Theater, Skylight Opera Theatre, Milwaukee Chamber Theatre, and MTM. Recently, she worked at the prestigious Guthrie Theatre in Minneapolis as a directorial intern on the pre-Broadway tryout of Roman Holiday. 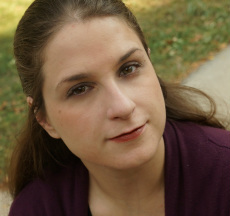 She was selected for the SDCF Observership pool and was a member of Directors Lab Chicago 2013 Lincoln Center Directors Lab 2014, and recently made her Chicago directorial debut with A Klingon Christmas Carol. Catie has taught acting for numerous organizations across the Midwest as a private instructor and group leader. Catie's specialties are musical theatre voice coaching, monologue selection and audition preparation, classical voice and cold readings. MEGHAN RANDOLPH (Business Manager/Substitute Instructor) founded and currently runs Music Theatre of Madison, Madison's home for lesser known musical theatre pieces. The company, one of Madison's few professional theatres, has produced ten Wisconsin premieres of musicals that were successful in large theatrical markets but hadn't yet made it to the Madison area. Meghan earned her BFA in musical theatre from the University of Michigan, and attended the Interlochen Center for The Arts as both a theatre and musical theatre major. As a performer, she appeared on the North American tour of Cats, playing Jennyanydots and Grizabella., She has also performed with Madison Opera, CTM, American Folklore Theatre, University Theatre, Four Seasons Theatre, The Actors' Company, Jigsaw Entertainment and Madison Repertory Theatre, among others. She has also had the honor of singing in concert with award winning composer Ricky Ian Gordon. Meghan has also directed locally for MTM, Forward Theater, TAPIT/New Works, MadCAP, Sauk Prairie Schools, The Colleen Burns Benefit Theatre, Strollers Theatre, and more. As an educator Meghan has taught theatre and voice privately as well as with Forte Studios in Mt. Horeb, Marygrove College, MSCR, Young People's Theater of Ann Arbor and others. She has also led theatre team building workshops for inner city high school students and juvenile offenders. She is currently pursuing a Master's of Science in Arts Administration from Drexel University. 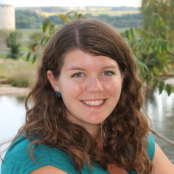 Meghan is CSPA's administrator, coordinating workshops and contracts, and fills in where needed. Her specialties are musical theatre performance, monologue coaching, and repertoire selection.